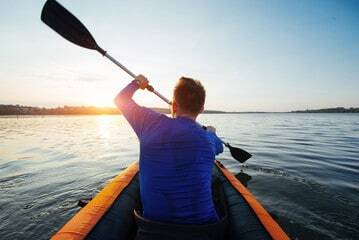 Canoe Vs Kayak: What's The Difference? Home/Kayaking/Canoe Vs Kayak: What’s The Difference? 15.69 people participated in kayaking in 2016. When deciding on buying a canoe vs kayak you need to look at the type of water you plan on going on, what region of the country you are in, how you will transport, and your lifestyle. 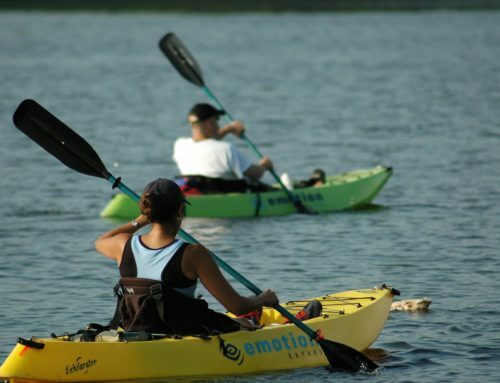 Both canoes and kayaks are similar in some features, yet totally different in others. We’re going to explain the differences and help you decide which one is right for you. The most obvious difference between kayaking vs canoeing is the boat you’ll be in. The other obvious difference is the paddle you’ll use to maneuver each type of boat. Canoes are typically open topped and are designed for one or two people to sit on benches or kneeling in the boat. Most kayaks are more closed in on the top and designed for a single person. You’ll sit down in the boat with your legs out in front of you. Kayaking paddles are double ended. This means you grip the bar of the paddle with both hands alternating which end goes into the water. A canoeing paddle is single ended. You grip the shaft of the handle with one hand, and the other goes on the T end of the paddle. You alternate which side of the canoe you dip the paddle into the water on. Kayaks are typically used to go on the water that are running rapids or whitewater, which requires some additional equipment. A spraydeck is a skirt that goes around the waist of the kayaker and connects to the kayak covering the open space. This prevents water from going into the kayak. Kayakers also will wear a helmet and noseplugs. To paddle a kayak you’ll have a paddle on each end of the shaft. You will keep each paddle on its respective side. The paddles are positioned at 90-degree angles from each other. This allows for efficient paddling. Dip the left side into the water and then the right side. You’ll propel yourself forward by alternating paddling. For a canoe, you’ll have a single ended paddle. You’ll dip the paddle into the left side, and then take it out of the water and then paddle on the right side of the canoe. If there are two people in the canoe you’ll need to coordinate with the other person. 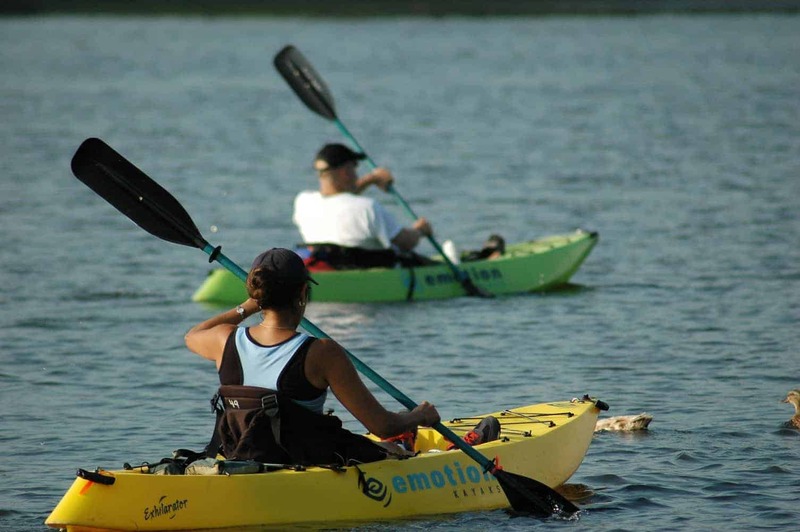 When both people are paddling in unison you’ll be able to efficiently gain a quick pace. When deciding on buying a canoe vs kayak, take a look at the water you are planning on going on. If the water is fast moving and full of rapids, you may want to consider the kayak. Maybe your intention is to go on less rough water, or you want to camp with a lot of gear. In this instance, you’ll want a canoe as they can carry a lot more. Who will you be paddling with? If you are by yourself make sure you can maneuver the vessel on your own. Most importantly look at the car your drive. You need to be able to transport your boat to and from the water. When kayaking and canoeing season is over, check out these snowboard boots and try your hand at hitting the slopes.